February 28, 2018 - Like us now! I am worried about the fate of cryptocurrencies now. Everything was going perfectly fine. 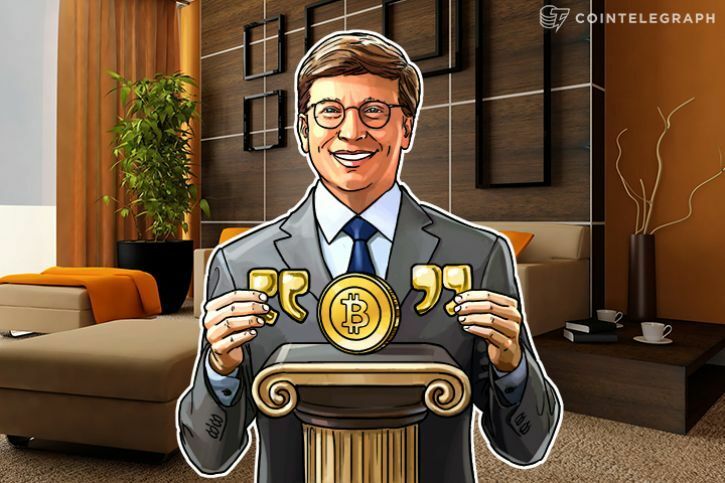 Cryptos had started gaining their value back and Bitcoin was blooming all over again, retaking the $10,000 mark and (trading around $10,950 as of writing), until someone asked Bill Gates about the cryptos and now apparently his answer would be the cause of another round-up of cryptos’ downfall. Bill Gates believes that the governments’ ability to track money laundering, tax evasion and terrorist funding is a good thing. 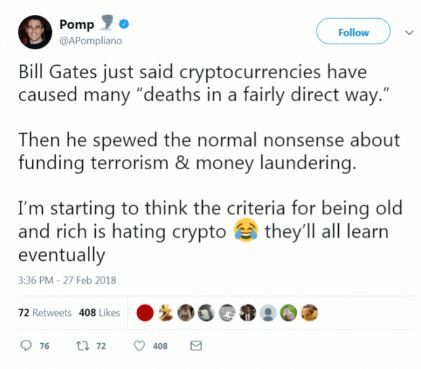 Meanwhile, the idea that old and rich do not know about the cryptocurrencies (and even don’t want to know) was also cited in reactions of some Twitter users. 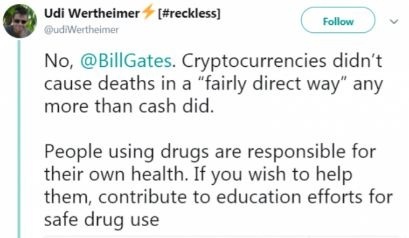 Whereas, some people believe that cryptos and cash both are potentially harmful if used in a wrong manner. It must be noted that Gates is not the first big name to speak out against the speculative assets. His close friend Warren Buffett also predicted a disappointing outcome, last month when he said that “in terms of cryptocurrencies, generally, I can say with almost certainty that they will come to a bad ending”.